Bright colored origami cranes line the pathway outside the Biola University library, reminding those who pass by to pray for those affected by the recent earthquake and tsunami in Japan. 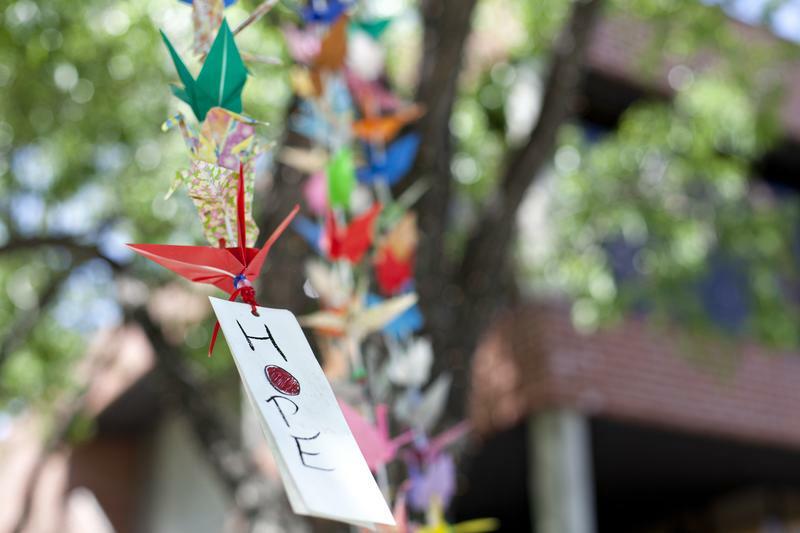 With years of restoration ahead of Japan in the aftermath of the Earthquake one month ago, Biola students hope to send a symbol of hope and encourage them in their endurance. As a symbol of endurance, the making of 1,000 origami cranes represents a blessing in Japanese culture. Students organized the Thousand Crane Project, asking professors, faculty, staff and students to donate $2. 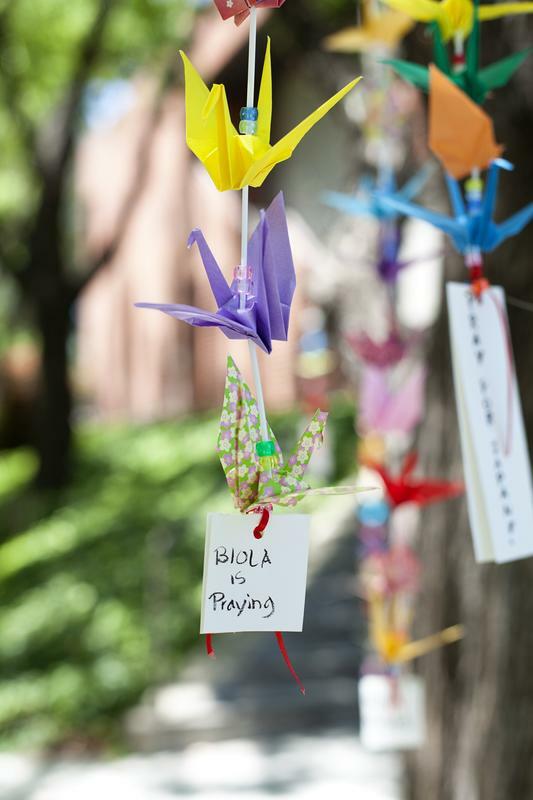 Those who donated were allowed to make one of the thousand origami cranes, which were later hung outside the Biola library. The money went toward Japan relief effort, with $1 toward CRASH Japan Relief efforts and $1 for Biola’s summer Japan Mission team. 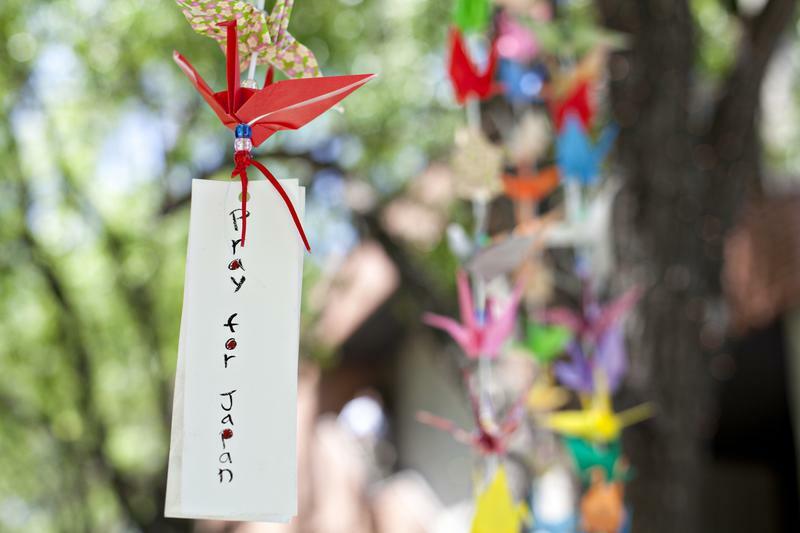 The Thousand Crane Project is based on the Japanese idea of “Senbazuru,” a mythical promise that if a person folds a thousand cranes, they will be granted one wish in addition to the sign of endurance. The number of cranes derives from the idea that the crane lives 1,000 years, therefore if one folds 1,000 cranes then it is believed the person is blessed. 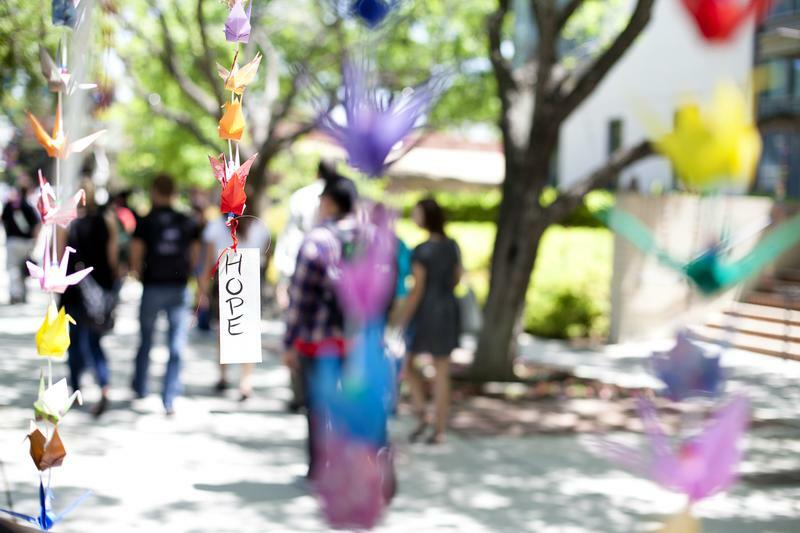 The Thousand Crane Project started in April with a table outside the Biola Cafe where participants could fold the cranes. 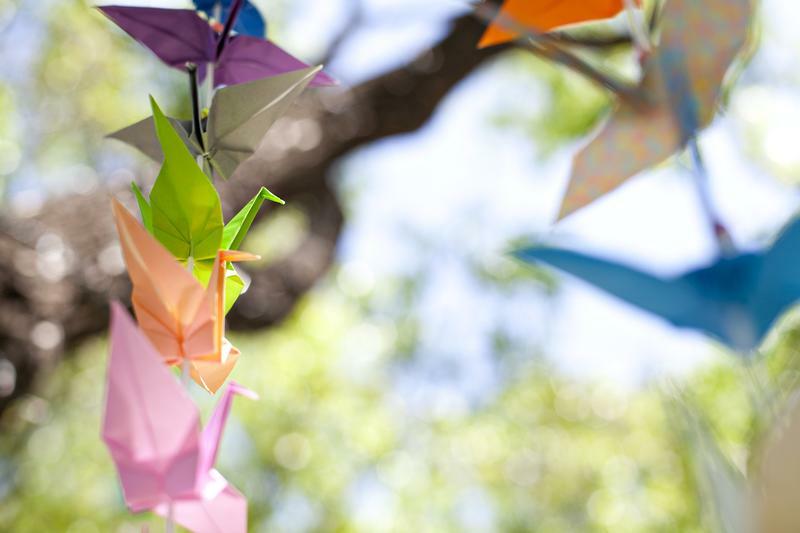 Organizers of the project shot a video of the folded cranes that they plan to send to churches in Japan. Morimoto said an overwhelming amount of people volunteered to help with the project. This included time sitting at the table and teaching people how to fold cranes, stringing the cranes, hanging the cranes, shooting and producing the video for the project, and even Biola president Barry Corey came and participated in the video. For more information on the Thousand Crane Project, visit https://sites.google.com/site/biolasenbazuru/. For more information on Team Japan, which will travel to Japan in June and be there for six weeks, visit http://smujapan2011.blogspot.com/. Written by Harmony Wheeler, Media Relations Intern. Jenna Bartlo, Media Relations Coordinator, can be reached at (562) 777-4061 or through email at jenna.l.bartlo@biola.edu.